The launch of a new expansion usually brings with it some exciting new Hearthstone decks—but it can also breathe life into old archetypes. Luckily for Shaman players, their favorite pint-sized fish race has returned with a vengeance. During the Rastakhan’s Rumble expansion, Shaman didn’t see any play at all outside of Even Shaman. After the mana cost of Flametongue Totem was increased to three from two as a way to nerf Even Shaman, the class became scarce and dormant. 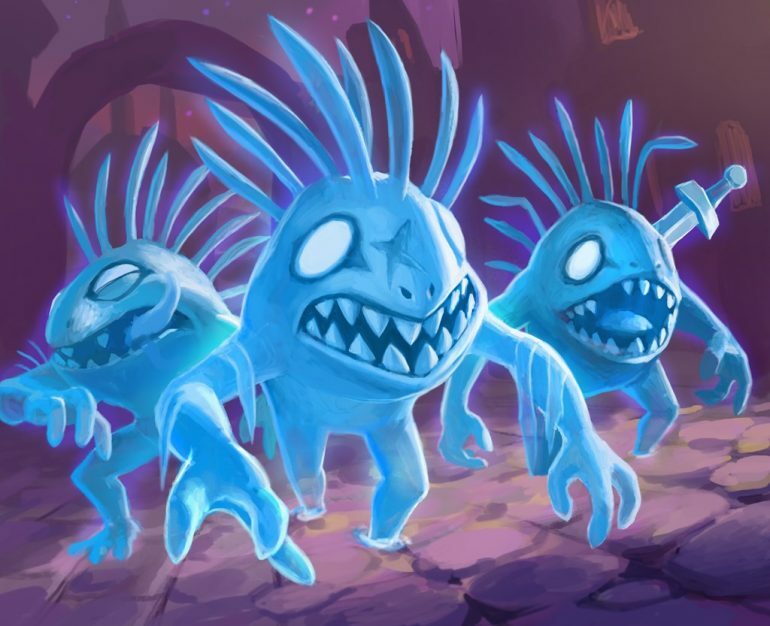 Thankfully, Rise of Shadows aims to breathe new life into the forgotten class using an archetype that Shaman players of old will definitely remember: Murlocs. If you have yet to experience the misfortune of playing against a Murloc deck, you may not be familiar with how the archetype works. A Murloc deck is best described as a swarm deck. These types of decks focus on running a variety of creatures that share the same minion type and usually have a low mana cost. In these decks, each creature usually has an effect that’s beneficial to other creatures of the same type. This means most Murlocs have some kind of effect that benefits you and your other Murlocs. Discovering which Murlocs work best with each other and at what point in the game you should play them is the key to being a successful Murloc player. 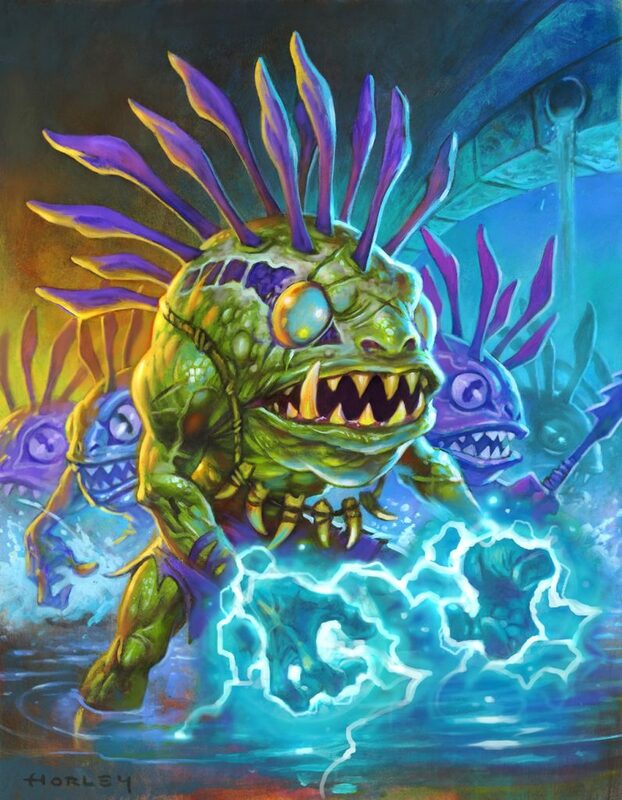 Although Murlocs aren’t exclusive to the Shaman class, it did get some of the best support for the archetype in Rise of Shadows. If you plan on playing a Murloc deck, expect to spend some time getting to know Thrall. Underbelly Angler is now one of the strongest Murlocs in the game. The two-cost 2/3 Murloc is exclusive to the Shaman class and joined Hearthstone with the Rise of Shadows expansion. 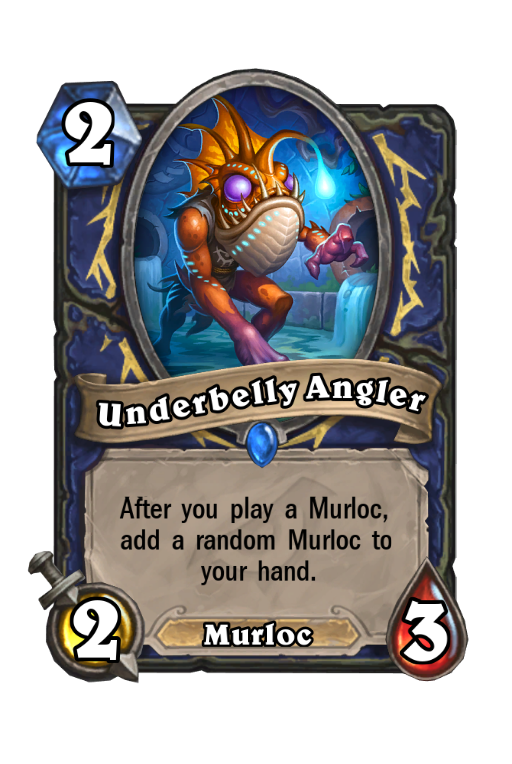 If Underbelly Angler is on the field, after you play a Murloc, you get to add another Murloc to your hand. While this is clearly a strong way to populate your deck and keep your Murloc army marching on, the potential value of this card is much more. Pairing Underbelly Angler with a duo of other new Murlocs can be a mana-efficient way to populate your hand and generate insane value. Underbelly Angler’s two best friends are Ghost Light Angler and the new Shaman Legendary Scargil. Scargil is a four-cost 4/4 Murloc with an effect that makes all other Murlocs cost one mana. Ghost Light Angler is a two-cost 2/2 Murloc with Echo. This means depending on how much mana you have available, playing Ghost Light Angler while Scargil and Underbelly Angler are on the field generates insane value. Not only will you have a field full of 2/2 Murlocs, but your hand will be freshly populated with new Murlocs thanks to Underbelly Angler. So now that we have a board full of Murlocs, how do we win the game? Soul of the Murloc is arguably the best thing that could ever happen to the archetype. Since most people know your end game with Murloc Shaman is to use Bloodlust on a board full of minions and knock your opponent’s life total into oblivion, they’ll be actively trying to clear your board. 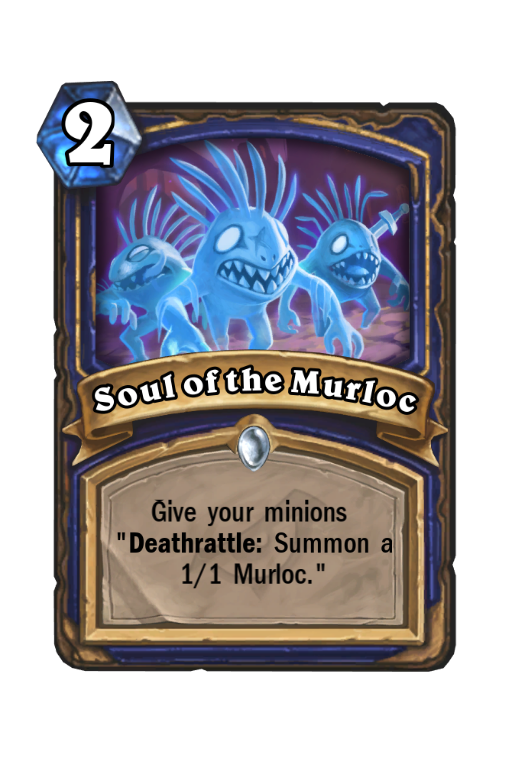 Soul of the Murloc is a two-cost spell that gives your minions a Deathrattle which causes them to summon a 1/1 Murloc. This means even if your opponent wipes your board, as long as you use Soul of the Murloc the turn before you plan on using Bloodlust, you’ll still have a little army of fish people ready to tear your opponent apart. On top of Bloodlust, the deck also includes classic buff cards like Murloc Warleader and Grimscale Oracle. Combine these cards with a preemptive Soul of the Murloc and you should have more than enough damage to send your opponent packing. The above list has the highest winrate of any Murloc deck on HSReplay right now and makes uses of all the packages mentioned above. Although it will vary with each matchup, generally with your mulligan you’ll be trying to find Murloc Tidecaller, Sludge Slurper, Murloc Tidehunter, and Underbelly Angler. You may not play all of these cards immediately, but they’re essential if you want to have a successful early game as Murloc Shaman.